To facilitate the client’s contact with Ultimate Solutions from anywhere to consult the specialists for meeting his/her needs. Download the application from the suitable link to your mobile. Contact the nearest branch to get your account data. You will receive your account data and password via email or SMS. Use your account to contact Ultimate to request the service and implementation follow-up. Thanks for contacting and getting your service. Composing notification and sending it automatically to be directly delivered to specialists for implementation. The notification can be a request for consultation, service or others. The can follow up the service or request status via the applied steps in the application. The client can cancel his/her request before being implemented. Recognizing the delegated specialist for carrying out the service or request and contacting him directly.Evaluating the application service for development and better service provision for our clients. 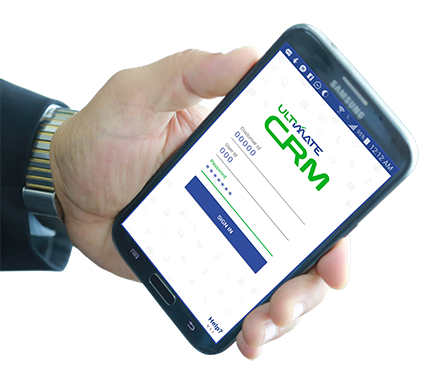 Congratulations for getting your services via CRM Mobile application.